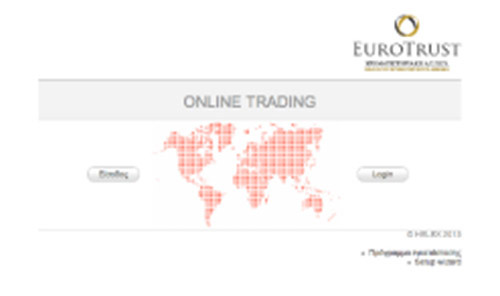 Eurotrust, constantly searching for innovative services, has established in the stock market the original application "Eurotrust Toolbar", enabling the investors to have full and broader control over their investments, suited to its philosophy. It is a quick and brief updating tool, compatible to all the search engines and it provides access to all the renown financial webpages both in Greece and abroad. The investor links the Toolbar to his personal e-mail, so that he can receive instantly and automatically every new financial update and information posted on the Internet through the Greek and international newspapers or financial sources. The investor always maintains control! Operating system requirements: Windows 7/vista/xp.